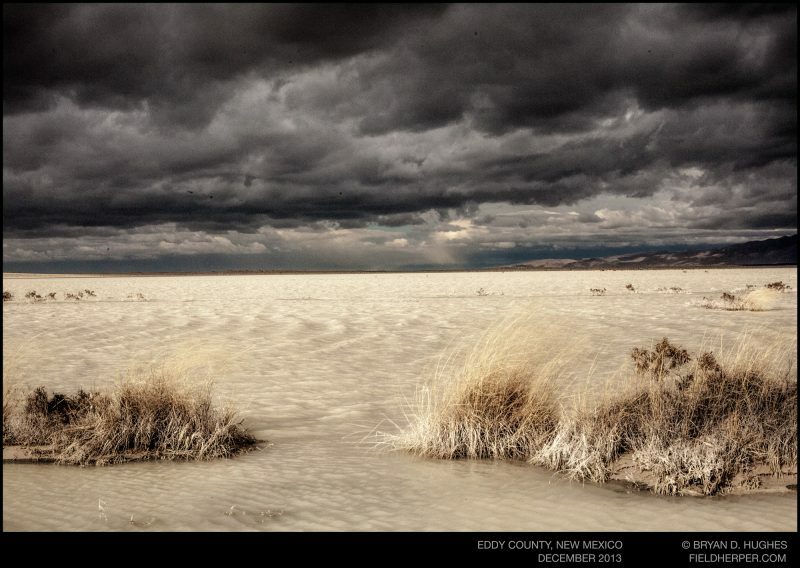 Just before heading into the Guadalupe mountains in Eastern New Mexico, these salt flats provide a photo opportunity. In the Winter they often flood, creating surreal landscapes such as this one. This entry was posted on Saturday, January 14th, 2017 at 8:00 am	and is filed under Landscapes, Photography. You can follow any responses to this entry through the RSS 2.0 feed. You can leave a response, or trackback from your own site.